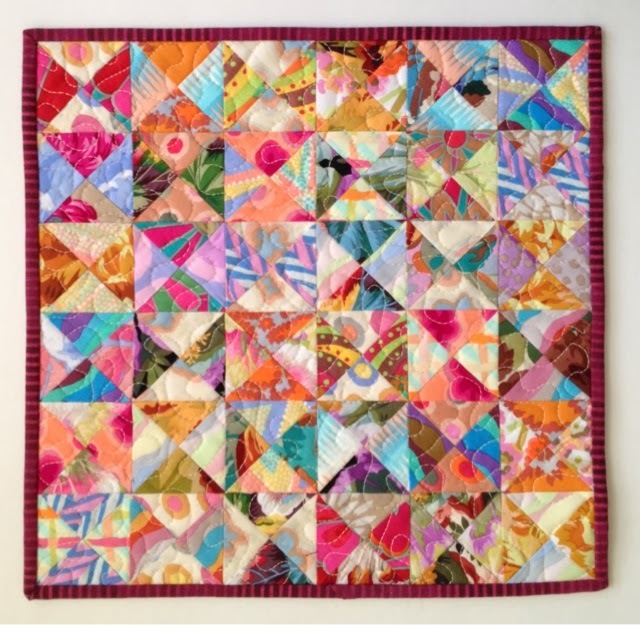 The fabric for the blocks was from the Kaffe Collective by Rowan (2.5" squares). 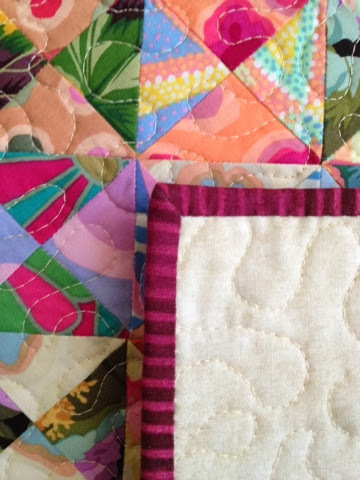 My final quilt turned out a bit bigger (14" instead of 13") than the pattern - I squared each block to 2.75" because I could. 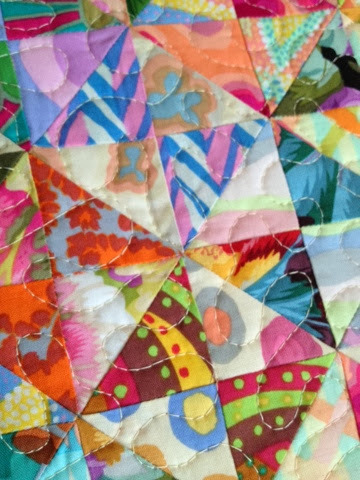 To quilt it, I dropped the feed dogs and meandered all over. On the back I used a fat quarter of Northcott Stonehenge and for binding a striped fabric from Michael Miller.